Quite possibly the finest 3-9x40 riflescope on today’s market, this rugged and reliable riflescope with a Constant 4" Eye Relief is a great choice for any centerfire, slug gun or muzzleloader. The T-Plex reticle takes the standard Plex type reticle to another level by eliminating the thick top vertical post, creating a cleaner field of view while still allowing your eye to quickly find the center crosshair for fast target acquisition. The all-new TURION riflescope is a favorite choice among every type of big-game hunter and quite possibly the finest 3-9x40 riflescope on today’s market. The all-new TURION riflescope is a favorite choice among every type of big-game hunter and quite possibly the finest 3-9x40 riflescope ever built under $450. Featuring TRACT’s revolutionary High Definition optical system, SCHOTT HT (high transmission) glass, Fully Multi-Coated lenses and 4” of constant eye relief, this rugged and reliable riflescope is designed for the centerfire, slug gun or muzzleloader. The T-Plex reticle provides the shooter with a cleaner, less obstructed view of the target for fast target acquisition. This scope, with a one-piece main body tube, has been recoil tested to withstand 1000g's and will work for you no matter what type of hunting situation you throw at it. 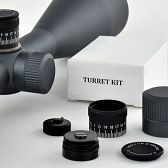 Customize your TURION riflescope with a selection of accuracy enhancing accessories such as the Low Profile Impact Custom Turret, or add a Zero Stop and Lock function with either the High Profile MOA or High Profile Custom Turret Kit. 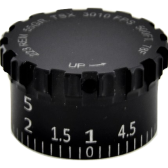 With this T-Plex reticle, we have eliminated the thick top vertical post to open up the reticle and provide a cleaner, less obstructed view of the target. The thickness in the horizontal and bottom vertical posts still allows for fast target acquisition. 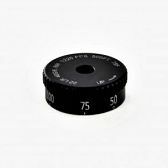 The point of the bottom thick post is strategically placed to provide bullet drop compensation for various distances based on the cartridge you are shooting. Simply use the IMPACT ballistic program to determine your maximum point blank range, bottom post distance and other crucial aspects that will make you a more accurate shooter. I bought this scope after talking with Jon at the ISE in Denver. He answered all my questions and did not bash competitors in this class of scopes, which IMO is a sign of a class operation. I mounted the Turion on my 375 H&H for a couple of upcoming bear hunts, black bear and grizzly. Once I did my part in getting on-target, I was on! No issues with holding zero with changes and the turret clicks were positive and reproducible. The clarity of the glass is outstanding! No edge distortion and the reticle is perfect for hunting. Overall, I am very happy with the Turion scope and give it, Jon, and Tract a five star rating. Hi Jon, where would you objectively put the turion 3x9x40 in comparison to a monarch 3 or 7 and say a vx2 or 3? I’m just as concerned with glass as I am the inside (tracking, durability, etc). I have a prostaff thay I would say is garbage for traceability and a pair of monarch 5 8x42 bins that are well built and light but glass doesn’t compare to the toric I got from you guys. I guess I would throw in were does it sit between a viper and a Razor? As far as build quality in my bins these are both better than than the toric but the toric glass is right on par with my razors (i only have 12x50 razor so not apples to apples, would probably have the 12x toric if tou made it! My torics are coming back to soon because they’re just sloppy loose, i think. 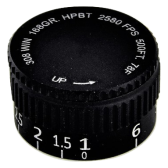 The TURION uses SCHOTT HT (High Transmission) glass, the Monarch 3 or 5, does not, nor does the Leupold VX2 or VX3. The Viper or Razor do not utilize SCHOTT glass either, but I would say that the TURION would be right there with the Viper. If you have an issue with the TORIC binocular, we can certainly have our service department take a look at it and get it straightened out. Please send me an email at jon.lacorte@tractoptics.com and we can get it taken care of right away. 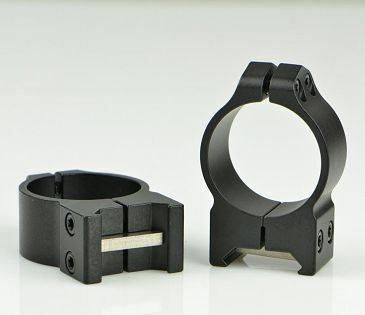 Hello- While quality glass is important to me (clarity, sharpness, light transmission), I'm becoming more concerned with the mechanics/dependability of the scope as I grow wiser :) With that being said, are the internals of your centerfire scopes all the same, with regards to ruggedness, dependability, and tracking? So, the differences in the product lines are primarily the differences in the quality of the glass? Thanks! The TURION, TEKOA and TORIC riflescopes all feature the same mechanical specifications in regards to Recoil resistance, Windage and Elevation adjustments and Waterproof/Fogproof construction. 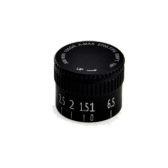 There are other features that separate the scopes aside from optical quality such as the reticle designs, magnification range (3x versus 4x versus 5x zoom ratios) and various other specifications.